Are you sick of reading about paint yet? I promise that I'll get to the actual painting soon, but this is a big decision with a huge impact so I thought I should explore all my options. I looked up comparisons on the internet but I couldn't find anything really helpful with pictures so I decided to roll up my sleeves and do the research myself. It's no secret that interior designers love this brand, but is pricey Farrow and Ball paint really worth the $$$? When you ask people who buy Farrow and Ball paints, they use buzz words and phrases like, "I'd never go back to regular paint", "no fillers", "extra rich pigments" and "clay finish". In the past, I was pretty convinced they were all drinking the F&B "Kool-Aid"... pretentious Kool-Aid that's apparently only made in England. That is, until I decided to conduct my own little experiment. 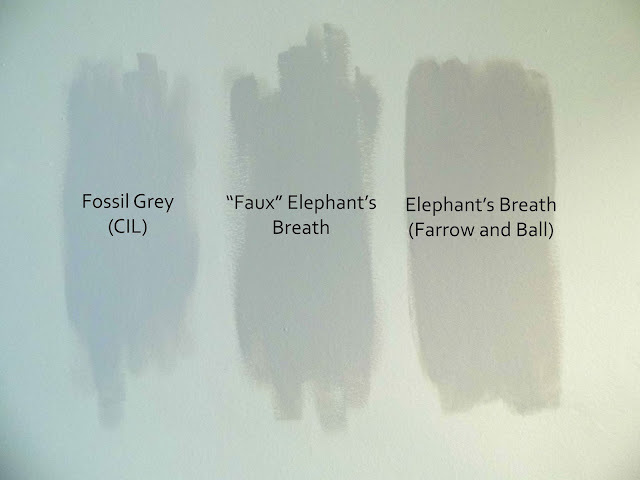 Thinking that I was too smart to pay full price, I had already had the staff at Home Depot colour match a sample pot of their own paint to Elephant's Breath by Farrow and Ball. It looked great, but then I became curious about the company with a limited but carefully edited palette. Each colour seemed beautiful and understated and so I decided some additional research was in order. "There is true alchemy to our paints. 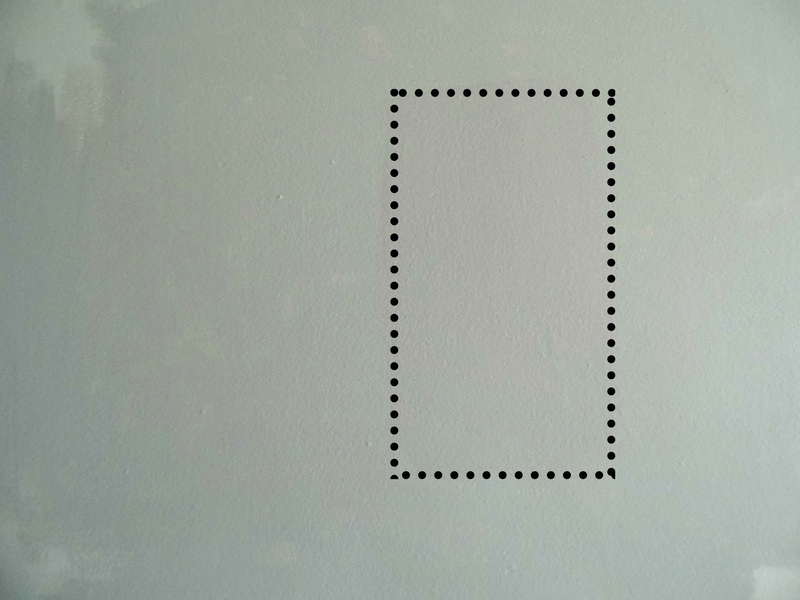 It’s the high levels of pigment, rich resin binders, and the high refractory nature of our key ingredients that produces that signature immersive depth of colour." Uh-huh, I thought skeptically. Still, I found a little pot of Elephant's Breath to compare to the knockoff sample I had at home. The real F&B definitely looked better than the "faux" colour, but I was worried that part of the difference could be attributed to the difference in the light hitting the wall. 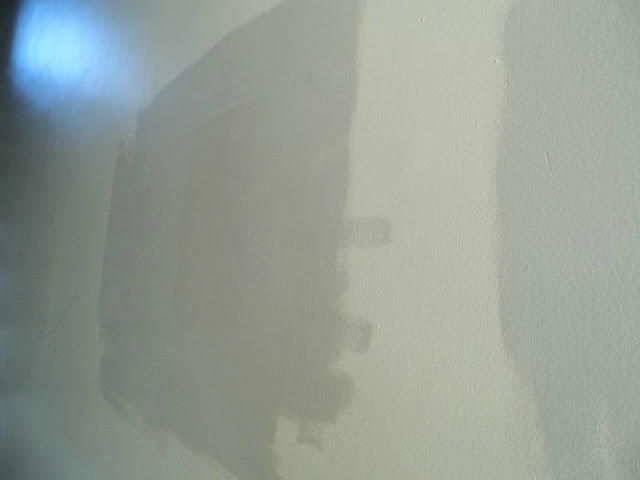 The better test would be to take a large section of wall I had already painted in the "faux" colour and to paint a section with real F&B in the middle. At first, my results were unremarkable. Here it is with the F&B section outlined. But then I looked at it from another angle. It's difficult to describe the difference besides the finish and a slightly different colour, but I found the Farrow and Ball paint to just look... more the way the colour was supposed to look. Not darker, but maybe richer. 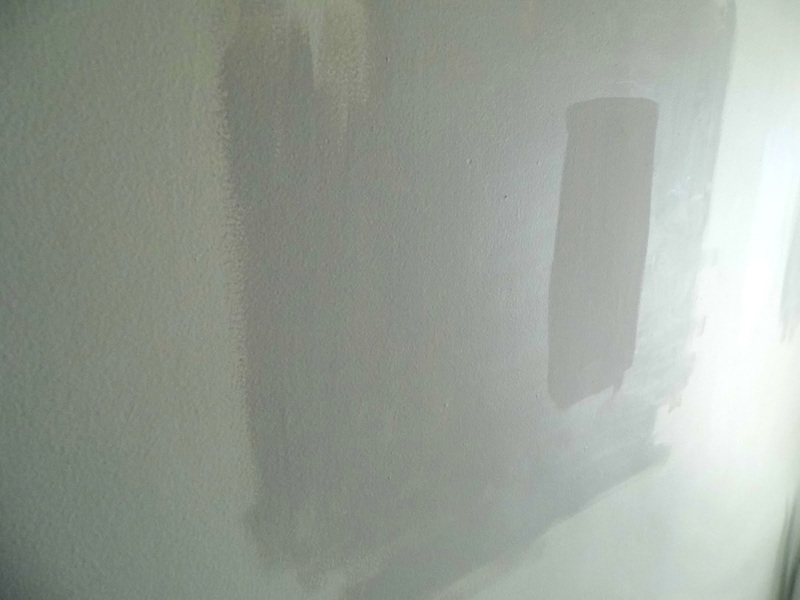 I also noticed that it covers better than generic paint and seemed to hide the imperfections on our walls. Next to the F&B, the other paints looked a little like plastic. The difference is very compelling in person. I think, from now on, I'll be happy to splurge on the F&B paints. 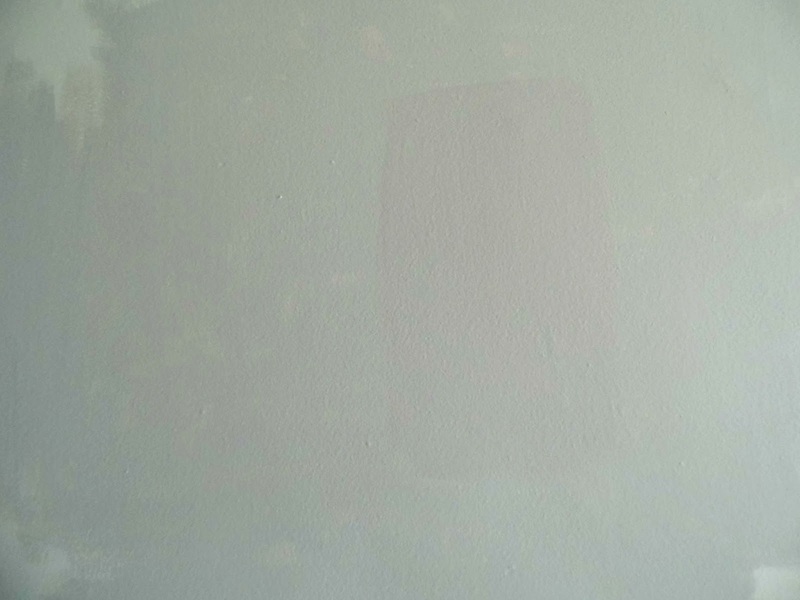 After all, the walls in your house have a huge surface area... why not cover them in the best paint you can find? Yup...I'm officially a Farrow and Ball snob. I'm shaking my head a bit, but can you understand why? Corey agrees.